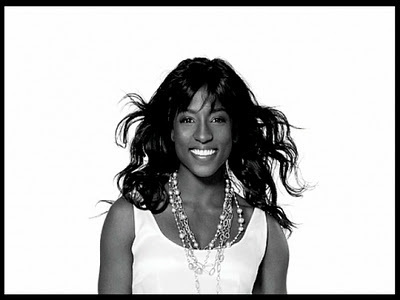 Rutina Wesley (born February 1, 1979) is an American film, stage, and television actress best known for her role as Tara Thornton on the HBO series True Blood. In December 2006, Wesley was featured in David Hare's Broadway play The Vertical Hour. In 2007, Wesley also appeared in The Public Theatre production of In Darfur by playwright Winter Miller, co-starring Heather Raffo, Aaron Lohr among others. Wesley had a minor role in 2005 film Hitch, which was edited in the final cut. However, she made her on screen debut in the lead role in 2007 film How She Move, from British director Ian Iqbal Rashid. The character Raya Green, who enters a step dancing competition to secure funds for her education, was inspired by Tony Manero, portrayed by John Travolta in Saturday Night Fever. Prior to the shooting of the film, Wesley underwent a five-week dance rehearsal period. Portraying a woman of Jamaican descent, she also took dialect coaching for the role. Wesley auditioned for the role Tara Thornton in the HBO series True Blood in 2007 and secured the part after creator Alan Ball chose her because "[she] was the first person who showed [Tara's] vulnerable side". In June 2011, it was reported that Wesley will star in the biopic Left To Tell based on Immaculée Ilibagiza's bestselling memoir about the Rwandan Genocide (Wikipedia).